Zijin Mining agreed to buy Nevsun for $1.4 bln, trumping hostile suitor Lundin. 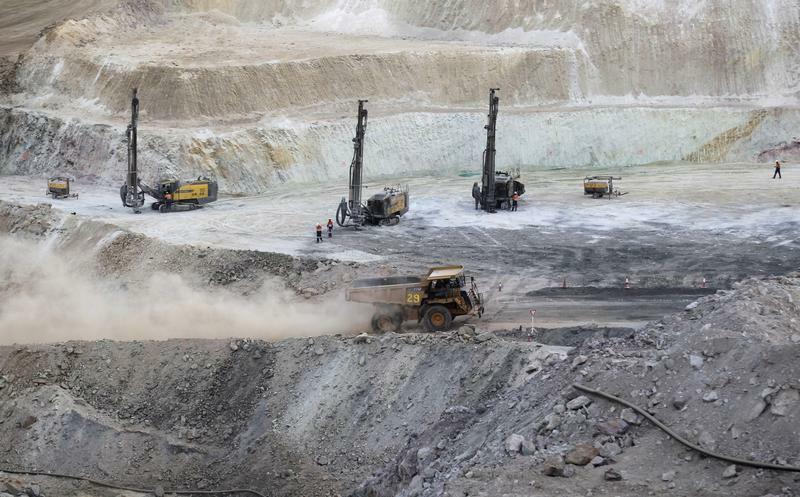 A cash bid at a 57 pct premium mostly to bet on a project in Serbia speaks to Beijing’s relentless appetite for important metals, but also to scarce supply. Pockets of outbound M&A exuberance persist. A truck arrives to ferry excavated gold, copper and zinc ore from the main mining pit at the Bisha Mining Share Company (BMSC) in Eritrea, operated by Canadian company Nevsun Resources, February 17, 2016. Canadian gold and copper miner Nevsun Resources said on Sept. 5 it had agreed to a C$1.9 billion ($1.4 billion) takeover bid from China’s Zijin Mining Group. The all-cash proposal trumps a C$1.4 billion hostile offer from Lundin Mining. Zijin is offering C$6 per Nevsun share, a 57 percent premium to the closing price on May 7, the day before Lundin first announced its intention to bid. Nevsun stock closed up about 18 percent at C$5.82 on the Toronto Stock Exchange on Sept 5. BMO Capital Markets is advising Nevsun, while Morgan Stanley is advising Zijin.